1 Comments Published by Jane on Saturday, December 12, 2009 at 9:18 PM. He was the second son born to John G. and Grace (McDonough) Deedy. 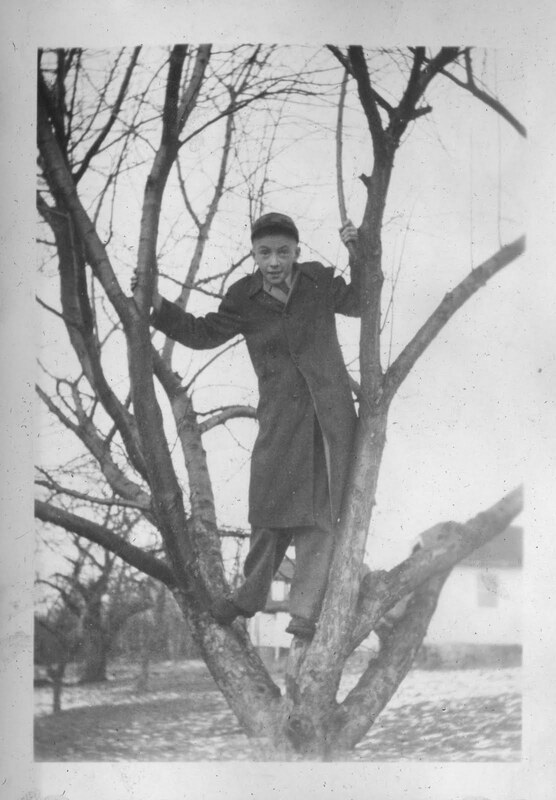 Named for his beloved grandfather, he was a happy addition to the house on Wabash Ave. A bright and studious boy, young Ed attended St. John's High School and graduated in June 1943. 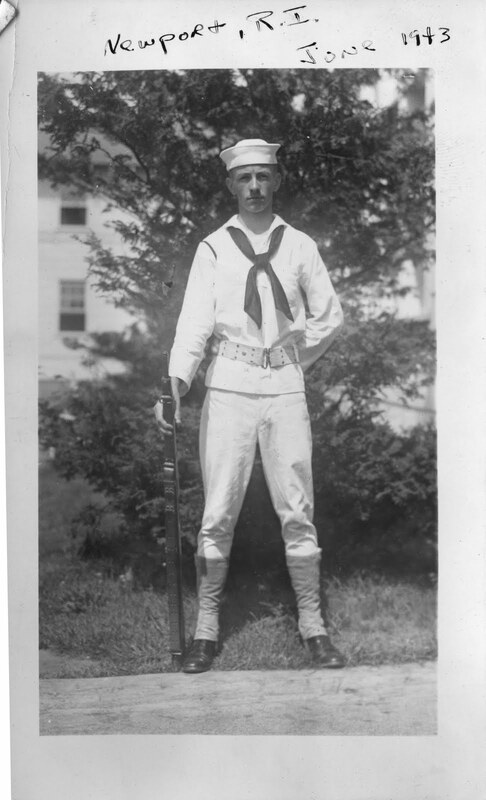 At age 19, he attempted to join the Navy, but his admission was not guaranteed because at the time Ed weighed 110 pounds and the minimum weight for acceptance was 112. While waiting in line for his admission physical, Ed ate bananas and drank water in an attempt to gain weight. Once in front of the Navy physician, the scale revealed Ed's attempt to reach the minimum weight had failed. However, the doctor was convinced by Ed that he would be a valuable addition to the Navy and could continue to eat and drink to reach his minimum. Ultimitely he was accepted by the Navy (click on photo above to see just how skinny Ed was!). He was then transferred to the Marines who obtained all of their corps men (medics) from the Navy. While in the Marine Corps, he was trained as a pharmacist, and was ultimately stationed in the Southwest Pacific. After the war he returned to Worcester and attended Holy Cross College. In 1949 Ed graduated from Holy Cross and married his childhood sweetheart Rosemary Mulhern. The pair settled in Worcester and were soon joined by their children Edward, Kevin, Rosemary, Diane, and Brian. He was a warm and outgoing person, a natural for his career as a salesman, a Worcester city councilor, and finally as a real estate agent. Ed and Rosemary ultimately retired to their summer home on Cape Cod. Ed's cherished Rosemary passed away in 2007. The pair had been married for 58 years. On December 12, 2009 Edward T. Deedy quietly passed away. The funeral will be held on Tuesday, December 15 from Doane Beal & Ames Funeral Home, 260 Main Street., West Harwich with calling hours from 9-10:30 AM in the funeral home followed immediately by an 11 AM Mass in the Holy Trinity Church, Route 28, West Harwich. Interment will be in the Holy Trinity Cemetery. In lieu of flowers, donations may be made to the Scholarship Fund, St. John’s High School, 378 Main St., Shrewsbury, MA 01545. - Link to Callahan & Fay Edward T Deedy Condolence Book. I'm so sorry for your loss. My thoughts and prayers are with you.